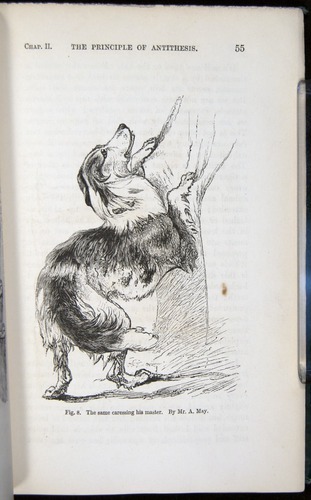 Charles Darwin, Expression of the Emotions in Man and Animals (1872), F1142. 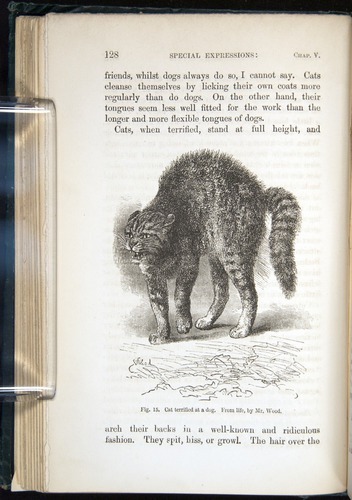 In 1872, to illustrate continuities between humans and animals, Charles Darwin explored the expression of the emotions. Dogs have an amazing ability to convey emotions. 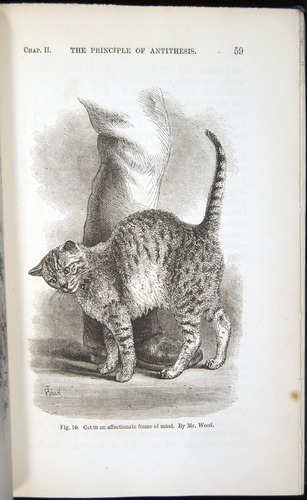 Cats, also, can be affectionate or savage. 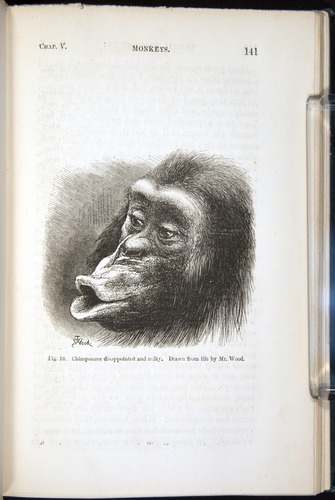 Darwin described a chimpanzee as disappointed and sulky. 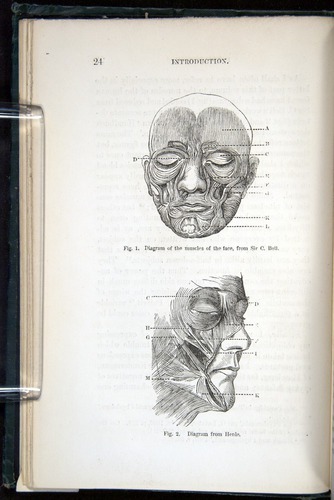 Darwin showed that the intricate muscles of the face enable humans and animals to express an astonishing variety of emotions. 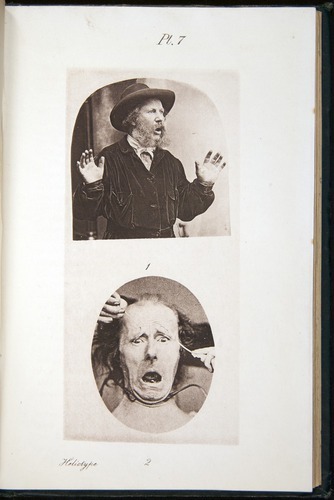 For example, the following heliotype (an early form of photography) from a psychiatric hospital in France showed how the expression of emotion could be imitated by applying electrodes to the facial muscles.